NovaStor (www.novastor.com), a pioneer in data protection, has optimized its enterprise backup software NovaBACKUP DataCenter for coping with the challenge of protecting a large number of files. Virtualization and decreasing storage costs have not only spurred data growth, but also increased the number of relevant files created by enterprises of all sizes. Today, many file servers hold tens of millions of single files which are critically important for business continuity. 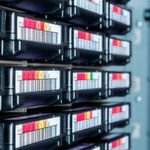 However, popular enterprise backup solutions often fail to succeed in protecting such a large amount of individual files. There are many reasons for this. For example, an unsuccessful backup could occur because of basic architectural approaches, such as the use of a central database for storing metadata within the backup software. It could also be due to a number of other factors, such as the combination of file type and operating system or even a particular setting in the backup software or operating system. Problems could range from the unsuccessful backup of a single file to a complete system breakdown. This is an issue that pertains to backup products of any price range. With NovaBACKUP DataCenter, NovaStor sticks to a principal that has already proven itself in the economy: focus on core competencies. To apply this principle, NovaBACKUP DataCenter uses central software components to perform backups while delegating administrative tasks, such as storing meta data, to other system components, such as the backup clients. NovaStor has applied the principle of focusing on core competencies to product development by building a distributed system architecture which enables above average data throughput as well as an unlimited data and file load. Robust technology also gives NovaBACKUP DataCenter a high fault tolerance. For example, on the off-chance an unsuccessful backup occurs, the software will automatically recognize it run it again later. Also, if the designated destination server is unavailable for some reason, NovaBACKUP DataCenter will automatically redirect the backup to another server. As a result, neither the system operation nor the data availability are endangered. NovaStor (www.novastor.com) is a leading, international provider of software solutions for data availability and protection. NovaStor provides software, SaaS solutions and services for local and online backup, restore and retention of business-critical data. Clients include home, mobile, and SMB users, service providers as well as international corporates. NovaStor's cost-effective solutions are platform- and hardware-independent and ensure that optimal technological and economical use is gained from the customer's existing and future IT environment. 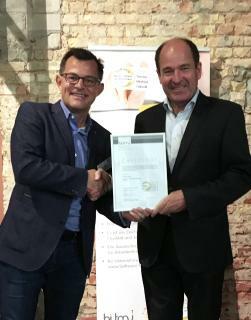 NovaStor is headquartered in Switzerland (Zug), has offices in Germany (Hamburg) and the USA (Agoura Hills), and is represented in numerous other countries through partnerships.